What is Apache tapestry and who developed it? 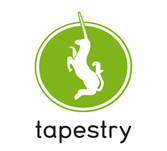 Apache Tapestry is a component based web framework written in Java and an open source tool. It was developed by “Howard Lewis Ship” and later on was made as an open source and incorporated into the Apache Foundation. It gained popularity and became a top project of Apache in 2006, works in any application server and easily integrates with all back end applications like Spring, Hibernate, etc. This tutorial will give detailed explanation of the Architecture, Setup, Quick Start Guide, Tapestry Components and finally walk through with Simple Applications. This tutorial is very helpful for Java programmers who wish to make a bright career in Java Web Framework using Tapestry and creating Tapestry Web Applications.